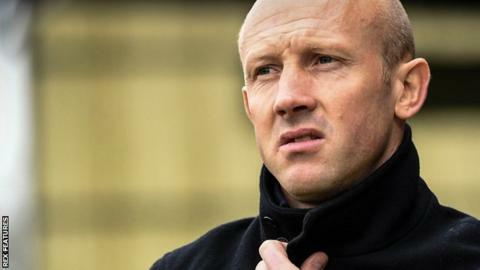 League Two strugglers Yeovil Town have sacked manager Darren Way after a run of 10 defeats in 12 matches. Way had been in charge since December 2015 and signed a new contract in November running until 2021. However, since then, the Glovers have slipped to 22nd in the table, just two points above the relegation zone. "All at Yeovil Town wish to place on record our thanks to Darren for his long service and contribution to the club," said a statement. Way, 39, made 230 league appearances as a player for Yeovil and was part of the team that reached the Football League in 2003. He took over as manager with the club slipping towards relegation out of the EFL, and oversaw 19th, 20th and 19th-placed finishes in League Two. "Whilst Darren's dedication, strong work ethic and potential are all clear, the board of directors has been compelled to act as the run of form in 2019 is not acceptable," Yeovil said. The Somerset club were in the Championship in 2013-14 but then suffered successive relegations to the fourth tier.